Very rarely you see products that offer more than you pay for them. 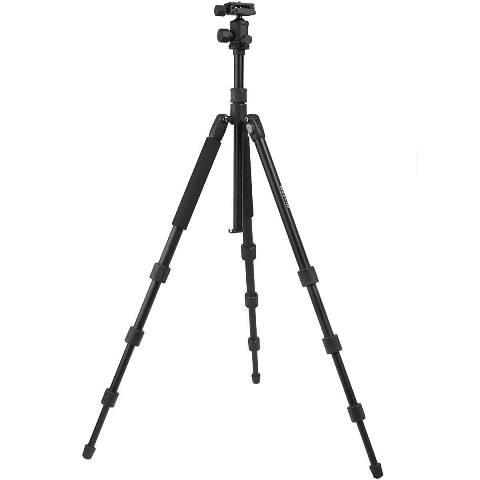 Ravelli 65″ Ball Head Camera Photo Tripod, the APGL5 is one such product. 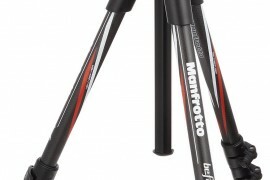 Photo tripods starts from $ 100 usually and the popular ones might cost you as much as your camera itself. What differentiates photo tripod from video tripod is the “head”. 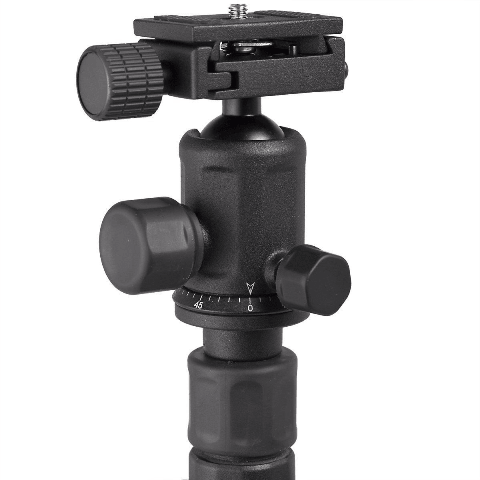 Ball head is the most popular choice for still photography enthusiasts and professionals alike. The versatile position adjustment and angle control has always been the USP of ball-head tripods. But leave alone the tripod, the actual head itself costs hundreds of dollars. Ravelli 65″ Ball Head Camera Photo Tripod being the exception just like Amazonbasics CA014-1, the 62-Inch Aluminum Ball Head Tripod . Both of them cost the same around $40 and are excellent choice for a beginner’s first tripod. 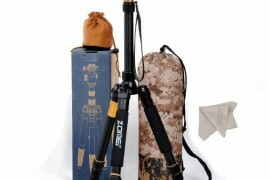 and why for beginners alone, it is capable enough to become a spare tripod for professionals as well. These are the links from affiliate partners & e-marketers I trust such as Amazon, Aliexpress and Adorama. I have carefully handpicked them after extensive research to get you the best possible deal (lowest price and shipping). Using these links will save you a lot of hassle in search of a reliable source and price comparisons. 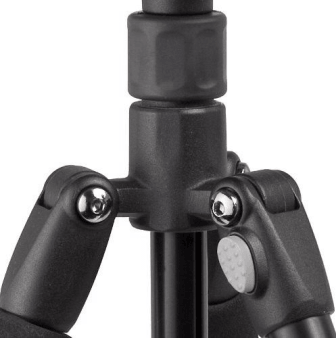 Ravelli 65″ Ball Head Camera Photo Tripod has got a sturdy ball head. Panning is also possible if you can improvise to add on some kind of handle. Mounting is served with a quick release plate. Also there is one spare quick release plate provided free of cost. 65.75″ inches. I am 6 feet tall and after mounting a regular DSLR like the Nikon D7000 on this tripod , its full height goes over my head. So for most people this tripod is going to be enough in terms of height. 19″ inches – very portable and very small. Fits perfect in most of my camera backpack’s side pockets and suitcases. Minimum height with the reverse mounted center column for Ravelli 65″ Ball Head Camera Photo Tripod is 0″ inches. Yes, you got it right. 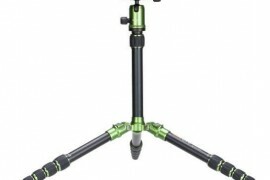 this tripod goes almost to ground level both with feet spread or center column reversed. Rated capacity is 17 lbs or 7.7 kg. 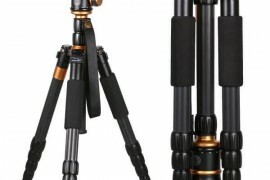 which seems real considering the build and sturdiness (tripods manufacturers tends to lie about the maximum capacity). Also by all means its enough for most people. 3.5 lbs or 1.5 kg. This is very light and, I mean very, very light given the load capacity, build quality and price. 1/4″ . The universal quarter inch screw is available for mounting cameras or any other gear with the regular 1/4″ screw threads. Legs are made up of aluminium. The lock knobs on both feet and head are coated with rubber but the base is some kind of metal, which is one good sign for durability. The skeleton to hold the legs and the locks on the feet (for angle adjustment) seems to be made up of some hard plastic (not the cheap one). The feet are provided with rubber pads for a better grip on rough terrain. 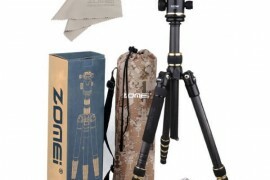 I really love the way this tripod is put together and I love the price even more. This thing is mostly metal and that justifies its durability and strong build. The tripod is really very stable even fully extended. Considering all that this thing is feather light and extremely portable. You will rarely find any other tripod which can compete with the Ravelli 65″ Ball Head Camera Photo tripod in terms of the overall quality and price at the same time. The ball head provides smooth adjustments at any angle. Center column and the legs can be inverted for low angle shots. There are foam grips on two legs, quick release leg locking knobs are present. 2 Quick Release Camera Plates, rubber feet and a hook on center column to add weight for added stability is also there. The tripod comes with a carry bag, but don’t get excited it just manages to serve the purpose. 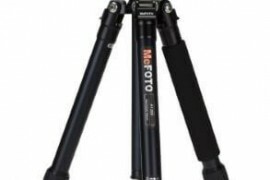 So do I recommend this tripod.? For Novices/ Beginners – It is a decent tripod and probably it’s the only tripod you will ever need. The build quality is there to last and the weight capacity is more than expected in this price bracket. 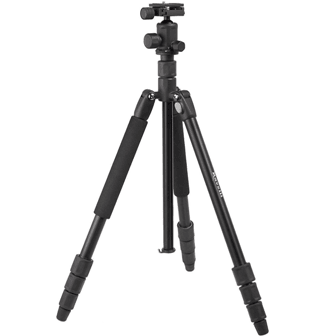 Amazonbasics CA014-1, the 62-Inch Aluminum Ball Head Tripod is also there to choose from. Both of them are equally good and almost the same thing, even in terms of price. 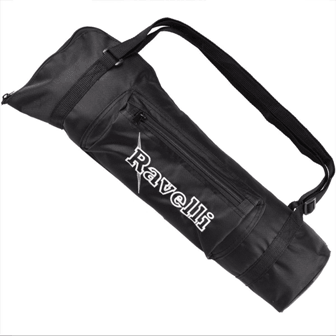 For Enthusiasts – Ravelli is good but only for the given the price, it’s certainly the best in terms of quality or stability. So if you are on budget then you can buy this one without hesitation. Also you might consider the Ravelli Professional 65-inch Carbon Fiber 3 Axis Ball Head Camera Video Photo Tripod which is a great carbon fiber update and costs less than $ 100 on amazon. 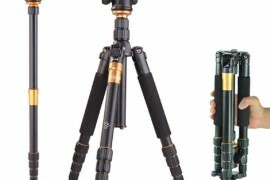 For Pros- For a spare tripod you can consider Ravelli but other than that you better trust this tripod with your expensive gear on your own risk. Though this tripod is a decent buy overall, but the head is not big enough to support some bulky DSLR with some heavy lens. Again you can consider the carbon fiber version if you are really hitting a low in the budget section. Summary: Very rarely you see products that offer more than you pay for. 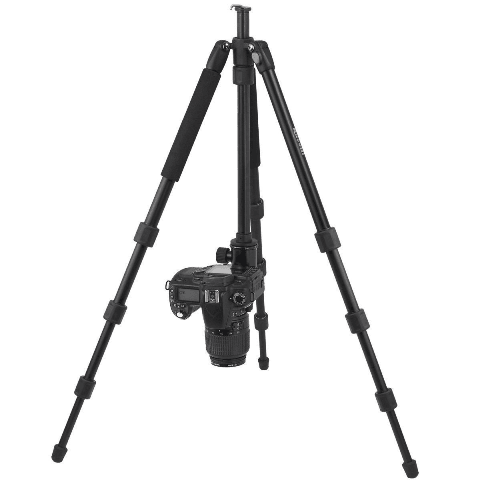 Ravelli 65" Ball Head Camera Photo Tripod, the APGL5 is one such product.